If you’ve owned at least one inkjet printer before, you’ve probably been stung by high ink prices, and wished for an alternative. A few manufacturers are now offering “inkless” printers, that don’t require any ink, yet still produce pretty good images and text. A printer that requires no ink would seem to be the answer to everyone’s prayers, but are there downsides to inkless printing? To understand how inkless printing works, it is helpful to step back and look at an older technology: thermal printing. Thermal printers apply heat to special paper where the text and images need to be, and the paper darkens in those specific areas to create text. Inkless printers work in a similar manner, but when heat is applied at different levels and for different periods of time, it can actually produce different colors. 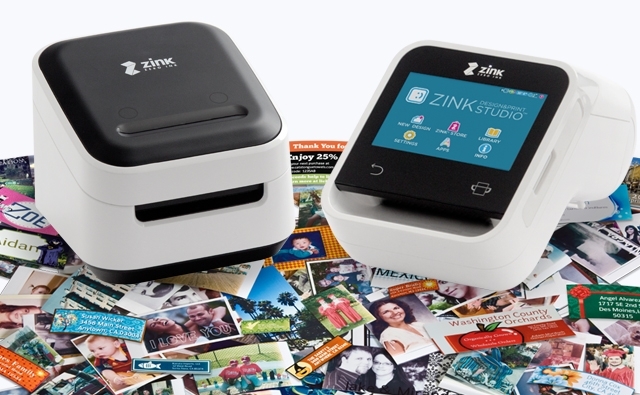 The ZINK (Zero Ink) line of inkless printers uses specialized paper that actually contains the cyan, magenta, yellow, and black colors inside of it. The printer applies heat at different temperatures and intervals to activate each color. 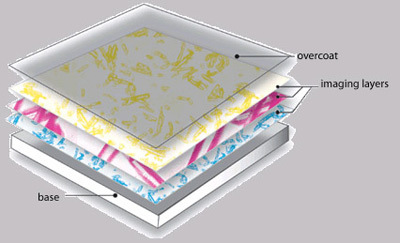 For example, applying a small amount of heat for a long time activates the cyan color, while applying a high temperature for a short time activates the yellow color. While this sounds time consuming, it all happens very quickly, and a small image can generally be printed in a minute or less. The technology is used in several portable printers. But what about the “inkless” aspect? Surely, not having to pay for ink will make up for the higher purchase prices over the long run, right? Well, this is another disappointment. While it is true you don’t have to pay for ink, toner, ribbons, or other common printing supplies, you do have to pay for the specialty paper, which often ends up being more expensive than the inkjet cartridges it would take to print the equivalent photos. For example, a 50-pack of ZINK paper can cost around $20, and they are only 2×3 inches in size. Printing larger photos would definitely be cost-prohibitive at these prices. The lure of an “inkless” printer is strong, as consumers are drawn into the idea of never having to buy a toner cartridge or inkjet cartridge ever again. The reality, however, is that these printers are great for specific tasks like quick portable printing, but not meant to replace a well-equipped inkjet model. This is especially true when it comes to creating large, true-to-life images. Most importantly, the cost of paper supplies is higher than one would spend on ink or toner, so the idea of spending less on supplies is never realized.